We have negotiated room rates as follows: Standard or Premier rooms, B&B, Single occupancy £92 per night, Double occuipancy £112 per night. All come with a Double and 1 single bed. Premier rooms can accommodate an additional bed or cot (subject to availability) but there are additional charges for 4-12 year old child - £10 per child, 13-16 year old - £20 per child. Additional adults (17 and over £50 each). 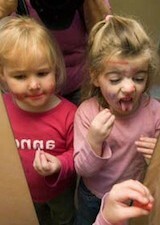 Under 4s free of charge. Book your rooms directly with the hotel. Please tell them when booking that you are with the CdLS conference to get these rates. We are trying to negotiate some family deals on food. Please ensure you register for the conference with our office. There is a registration charge of £10 per Adult (over 16) towards the cost of the event - CdLS people no charge for registration! Payable through our MyDonate or Justgiving links, bank transfer or cheque. Please contact office for details and give a reference for the people you are paying for. There will be doctor consults with Drs David FitzPatrick, Peter Gillett, Jenny Sloneem (Clinical Psychology), Prof Chris Oliver and 2 behavioural research programmes (see separate story) as well as supervised playroom for the younger kids and CdLS kids. In the evening there will be a buffet, quiz and raffle priced at £15 per Adult and £8.95 per child (under 4's free). 10th International Conference 2019 in Germany!! The International Conferences, held every 2 years, are events not to be missed. 2019 is being jointly hosted by the CdLS groups from Germany and the Netherlands. It will take place in Bad Neuenahr, Germany, 1st - 3rd August 2019. All information is on the CdLSWorld website. Links to all aspects of the extended weekend are at the top of the page. Registration is now open. Book now to ensure places at the CdLS event of the year! 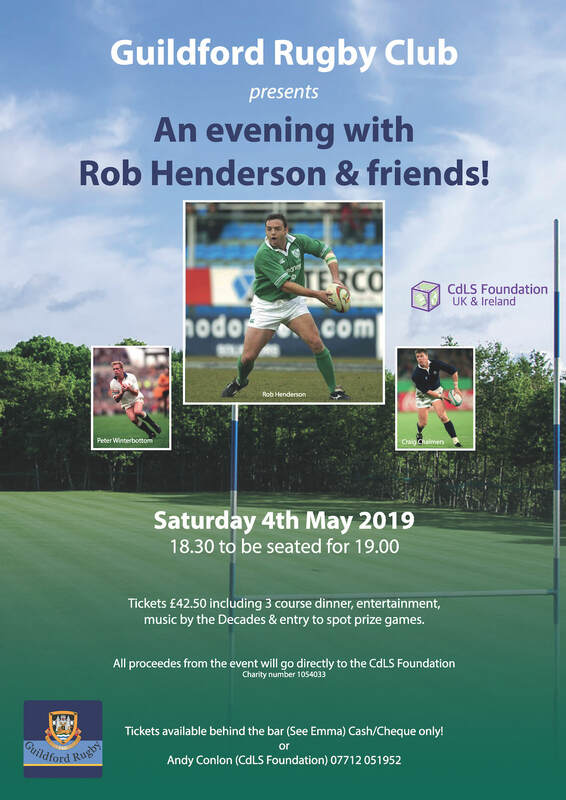 On May 4th 2019, there will be an evening with Rob Henderson and Friends, at Guildford Rugby Club. All three are top international rugby players - Rob Henderson (Ireland), Peter Winterbottom (England) and Craig Chalmers (Scotland). The evening will include a 3 course dinner, spot prizes and live music with all proceeds going to the CdLS Foundation UK & Ireland. Tickets available from the Club or from Vice Chairman Andy Conlon. Full details on the flyer. The USA Foundation has kindly shared their exciting new events. The first 2 of a series of Webinars will be happening in a few weeks time. The CdLS Foundation is proud to present the first annual webinar series featuring talks from medical and educational experts. Register for our first two webinars today! If you want to take part in the Webinars, please register by clicking the link for the ones you are interested in. Times shown are Eastern Standard Time (US) but click the link and it should show your local timezone.